Determine the effect on the control system’s regulation of liquid level inside the vessel if an instrument technician accidently mis-configures the controller for the wrong type of action (e.g. direct action when it should be reverse, or vice-versa). Assume all other loop components are properly configured and that the controller is well-tuned. 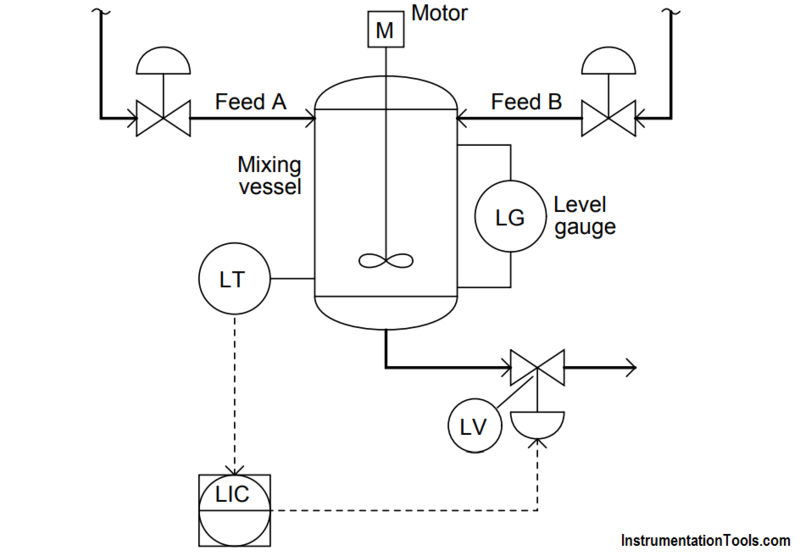 The liquid mixing vessel will either drain empty or overflow, depending on which side of setpoint the process variable was on at the time of the mis-configuration.